The Bigg Boss show is back yet again with its 12th season on Colors television and Mr. Salman Khan yet again gets to host the show. He started today’s premier episode with his dazzling dance performance on a medley of the songs from his own films. He then announced that this season, the show will be telecast at 9 pm daily whether weekdays or weekends. Salman then introduced 4 females who were already kept within the “out house” of Bigg Boss house. The four people were Surbhi Rana, Kriti Verma, Mital Joshi and Roshmi Banik. It was then announced that only 2 out of these 4 contestants will enter the Bigg Boss House tonight while the other 2 will be eliminated, as per the voting of audience. Salman Khan then started introducing the contestants one by one. The very first contestant to make entry inside the Bigg Boss house was the famous television star, Karanvir Bohra. After that, Salman announced that some of the contestants will be sent inside the house as pairs. The first pair to go inside the house was that of Shivashish Mishra and Saurabh Patel. The beautiful daughter in law of Indian television, Dipika Kakar Ibrahim was the next one to enter inside the house. The next pair which made their appearance was that of Nirmal Singh, a policeman and Romil Chaudhary, a lawyer by profession. Neha Pendse, the television anchor was the next contestant who was followed by Bhajan Samrat Anup Jalota and Jasleen Matharu who were in a relationship. Next to go inside the house were the two friends Srishty Rode and Rubina Dilaik. After that, a very smart pair of sisters called Sabha Khan and Somi Khan made their entry inside the house. Deepak Thakur, the singer and one of his fans Urvashi Vani were the next one to go inside the house. The famous Indian pacer Shanthakumaran Sreesanth was the 16th contestant to make his way inside the house. 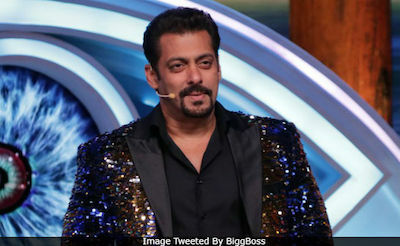 Eventually, Salman Khan called the 4 female contestants onto the stage and announced that Roshmi Banik and Kriti Verma were going inside the house. Bigg Boss then welcomed all the contestants and announced that singles will be against doubles this season. In tomorrow’s episode, Jasleen and Sabha Khan will get into a fight as Sabha will be seen questioning Jasleen’s relationship with Anup Jalota.